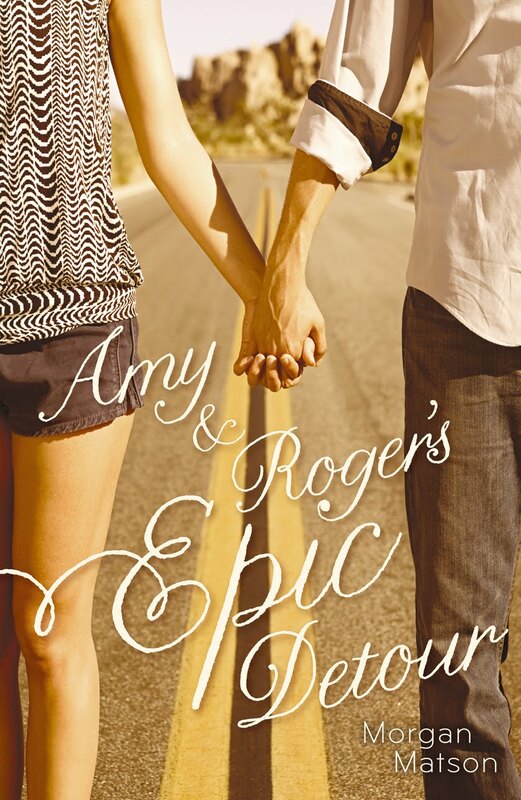 Hey everyone I just want to remind you that my Amy & Roger's Epic Detour Contest is ending tomorrow at 8:00 P.M. Central Time, so if you want a chance to win enter!!! Definite Spoilers for Perfect Chemistry! Proceed with caution! 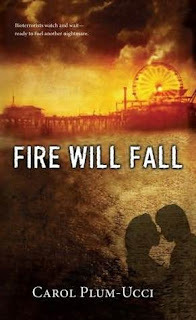 I loved Perfect Chemistry, and after reading it I found myself wishing for sequels, so when I heard about this book and that there is going to be another book, I was so excited! Rules of Attraction was very similar in plot to Perfect Chemistry, gang member boy, gets connected to a white girl, but I really enjoyed the differences in this one, for example I like how Carlos had to live with Kiara, which added a new and different element of conflict to the story. I also loved reading more about Alex and Brittney! Kiara was more feisty than Brittney which I enjoyed, she was really smart and lovable. I also really loved the epilogue. This book was really cute and I liked the two different point of views, I cannot wait for the next book. ShadowStrike poisoned the water of Trinity Falls two months ago. Now the Trinity Four, the teens most affected by the poison, have been isolated in a remote mansion under 24-hour medical care while scientists on four continents rush to discover a cure. Meanwhile, U.S. operatives scour the world for the bioterrorists responsible for this heinous crime, as two teen virtual spies, also infected, hunt for the criminals on the Internet. The danger remains real—for ShadowStrike has every reason to pursue the Trinity Four, and their evil plan will unleash a new designer virus that’s even deadlier than the first. Let me first say that I want to be a Biomedical Engineer when I grow up so I was really excited to read this book, I had not read the first book but I figured it would be ok, and I could catch up as I went along. While I was able to understand what was going on for the most part, I was really, really board. 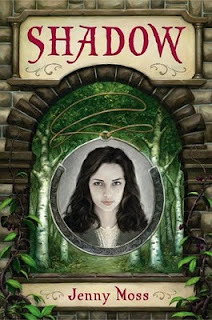 I am not sure whether the first book was more interesting, but this book had too much whining for me, and even though I came to care about the characters, I could not really get into it. Maybe I will try again after reading the first book. If I change my mind I will be sure to let you guys know. In a time of kings, queens, and conspiracy, it's impossible to know whom one can trust. . . . In a kingdom far away and long ago, it was prophesied at her birth that the queen would die before her sixteenth birthday. So Shadow, an orphan girl the same age as the young queen, was given the duty to watch her every move. And as prophesies do tend to come true, the queen is poisoned days before her birthday. 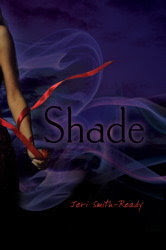 When the castle is thrown into chaos, Shadow escapes with a young knight, whom she believes was betrothed to the queen. Unsure of why she is following Sir Kenway, but determined to escape as far as possible from the castle, her long-time prison, Shadow sets off on an adventure with the handsome knight who has been charged with protecting her. As mystery builds, and romantic tension does, too, Shadow begins to wonder what her role in the kingdom truly is. Soon, she learns, it is up to her to save her land. I was expecting a lot more from this book, based on the synopsis. More adventure and even more intrigue. But I was sadly disappointed, the book was confusing and I really did not understand what was going on until like 40 pages into the book. Ok, so it was not all bad, once I got into it, it was pretty good, but a little boring. I felt like the plot kept jumping around, and that the characters were disconnected. And while the ending was complete I wish it had been more spontaneous. I have to say the ending of the book was my favorite part of the book. Shadow was an interesting character who was just trying to find herself. I wish the rest of the book could have been as interesting as her. I do have to say that, it was an interesting premise, I just wish it had been executed in a different way. So who loves a good road trip book? Raise your hands... yes I see you, well I love road trip books, maybe because I have never been on a road trip. 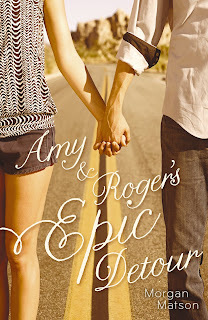 But Amy and Roger's Epic Detour was a honest to goodness genuine road trip book, where they go harem scarem wherever sounds interesting. Ok, so maybe I especially loved this book because it was a road trip book, but I also loved the motives for going on the road trip and why they went where they went. Also there were lists and receipts throughout the book which added to the reality factor of actually being on the trip with Amy and Roger. While neither of them at the beginning have any goal but to get to Connecticut, the story blossoms into a story of self-discovery and forgiveness, as well as moving on and not letting the past destroy your life. Amy and Roger's relationship was cool and they acted like two people who did not really know each other would act when stuffed into a car alone. I really enjoyed their banter and dialogue. One small problem I had with the book was that the middle was kind of slow, but overall it was a fabulous book! Do you want to win a copy of this book? Check out my giveaway! I really liked this new take on Werewolves, it is really cool to see a different view of the werewolf life, becasue werewolves are becoming a very common paranormal theme. Ok, first of all I absolutely love the nickname Bryn! It is fun and sassy, which totally fits the character. This book was hilarious, the part that was funny was the great dialogue, and characters, becasue this was not a comedic book but I still loves the interactions between the characters, especially between Bryn and Devon. But while this book had great dialogue there were deep emotional connections throughout the novel. Bryn was an awesome character she was the quintessential girl power character and she grew tremendously throughout the novel, she went from a girl who while being rebellious, basically did all she was supposed to do, to a strong young woman who is determined to do what she thinks is right no matter the consequences. An amazing book! Barnes created amazing characters and a great storyline. I am definitely going to pick up some of her other books after this! 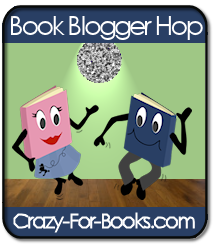 Time for another Blog Hop! If you are visiting my blog from the Blog Hop thanks for visiting and I hope you enjoy it! Emma Landon has a plan: she's going to be in the high school musical and sing the most romantic song possible to her boyfriend. She's not looking for the lead, just a decent part where she and Trevor can dance together on stage. The plan starts to unravel when she gets the starring role, and playing opposite her is not her perfect boyfriend, but the school loner, Biker Mike. 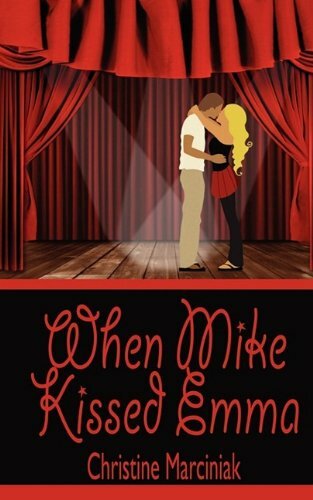 When Mike kisses Emma at the school dance, everything changes. Emma must figure out what is more important-the way things look or something deeper. Ok, first of all I love the Sound of Music so I loved that, that was the play that they did. Emma was an interesting character, she was very typical teenage girl in a novel, but she transformed throughout the novel into a girl that knew what was right and was not afraid to fight for it. I happened to love Mike! I thought Logan was a jerk and did not deserve to be with anyone much less Emma. While this was a really cute story I wish there had been a little more plot, beyond the Mike and Logan drama. But besides that I really enjoyed this book and it was very cute. This was only my third Elizabeth Scott book. And while I always love her books this one left me with something to be desired. It did not have the broken heroine that is typical in Elizabeth's books. And the story was not really original. But besides that this story was pretty good. Sarah and Ryan's relationship was sweet and Brianna and Sarah's friendship was very typical in real life so I really liked that. 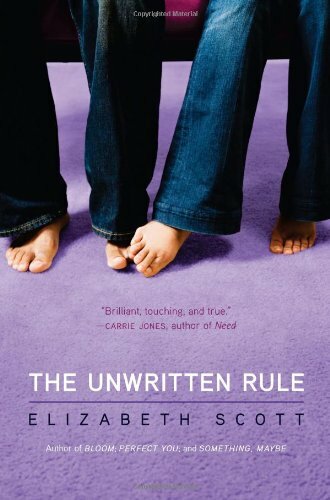 Overall I found this book to be a little sparse for me but I still love Elizabeth Scott and her books! Check out the new Linger Trailer! The amazing thing is, is that Maggie played the music, and did all of the art for it herself! I cannot wait for this book!!!!! Hi guys! I was really bored earlier so I decided to try to make on of those Google Search thingies. What do you think? I really need to stop having preconceived notions of what books are going to be like, because this one was nothing like what I thought it was going to be like. This book is not what I would personally classify as dystopian, I mean I guess it is like the end of the world as we know it type of thing, but basically to me it just felt like just everyone basically just had to go back to their roots, such as growing their own veggies ect. So probably if this book had not been labeled as dystopian maybe I would have liked it better. It was not all bad though, the characters were different and interesting, but all in all it was really just kind of a slow read, that felt rushed at the end. Another thing about this book that bothered me was the fact that all of Molly's problems were solved really quickly, and easily, which was a little annoying. Overall not a bad book, just not at all what I thought it was going to be, but for what it was it was an ok book. Kind of slow, but it had some good characters. 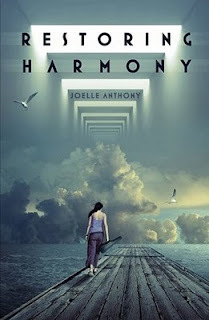 I will read more from Joelle Anthony, because of her characters, but this one was just not for me. This book was really cute! It made me long for lazy summer days, and summer romance. This was a really fluffy novel with deeper plot lines than are made obvious when you first pick up the book. Polly was your typical teenage girl trying to find herself. She had become such a hodgepodge of different interests from all of the guys she had dated. 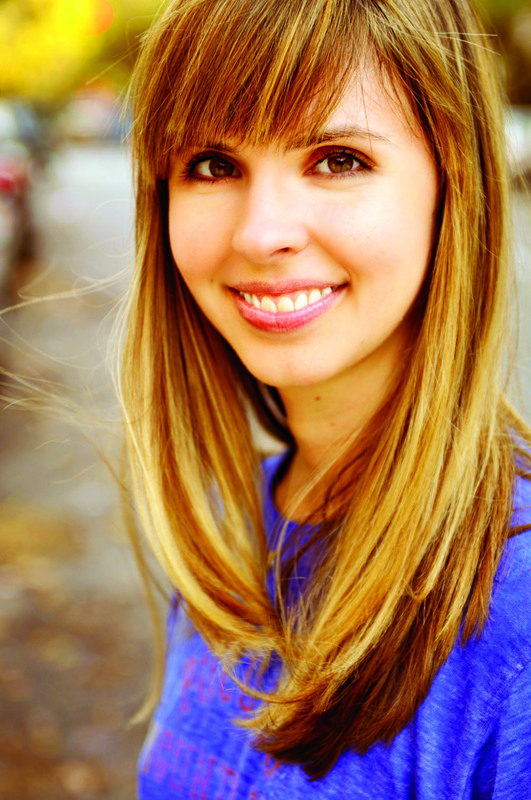 This book was about her finding new love and learning not to compromise herself. Polly's grandma (Miss Swoon) was really funny and made me wish I had a grandma like that. (minus all the men) I also liked how all of Polly's previous boyfriends all had very different interests and personality. I did not get confused about who was who which I was afraid of. I also loved Xander he was by far my favorite part of the novel! On another note I felt that this book was very stereotypical and I found myself wishing for a few more characters who were less stereotypical. But besides that I really enjoyed this book and it makes me want to pick up Sydney's first book My Big Nose and Other Natural Disasters. I hope to read more by Sydney in the future! This book was really different. There were elements of mystery, romance, and supernatural. Jeri-Smith Ready created a book that has all of these things and more. 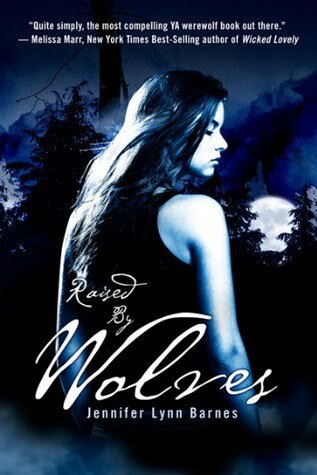 While I was a little hesitant about this book in the beginning, as soon as I got into the story and started seeing Aura's relationship with Logan I fell in love with them and all of the rest of the characters. One thing I really liked about it was the fact that even though this book had supernatural elements with the Shift the characters and some of the relationships were very realistic, and relate-able. The thing I didn't like about the book was that the ending was so sudden and I really didn't understand what was actually going on. But I've heard that there is going to be a sequel which will hopefully answer all my questions. Overall a very cool book with an interesting premise. I cannot wait to read the sequel so I can find out about the Shift! 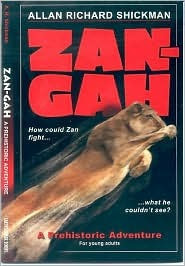 The hero, Zan-Gah seeks his lost twin in a savage prehistoric world, encountering suffering, captivity, conflict, love, and triumph. In three years, Zan-Gah passes from an uncertain boyhood to a tried and proven manhood and a position of leadership among his people. This book has a very interesting premise. I mean who doesn't want to read about prehistoric people? This book was really interesting. The style o writing was different from any other book I have ever read and was kind of hard to read in the beginning but once I got into it, it was an interesting way to tell a story. In this book we travel with Zan-Gah and learn about the world he lives in. It was really cool to imagine how the world would have been that long ago. It was also cool to see him discover new innovations throughout the novel. One of the small problems I had with this book was the fact that it was hard for me to get into. But once I got into it, it really surprised me. There is also a sequel which I am going to be reviewing soon, so look out for that. Definitely an interesting book that would be great for boys middle grade and up!